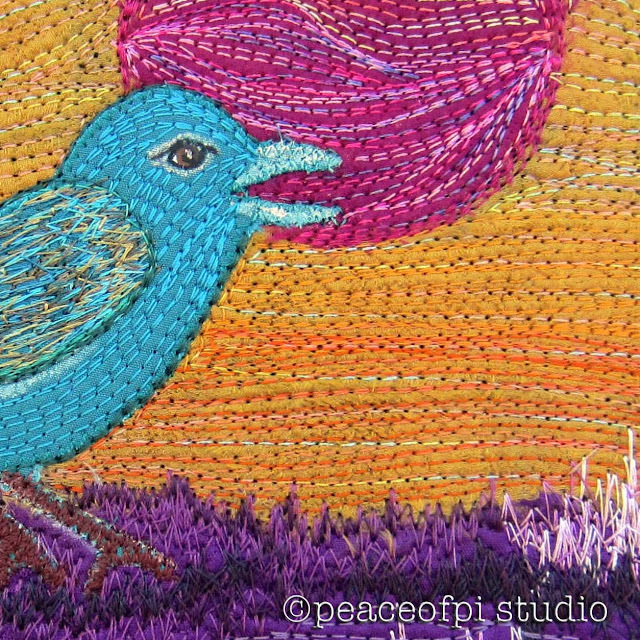 The background is created in free-motion stitching in multiple shades on a needle felted base. 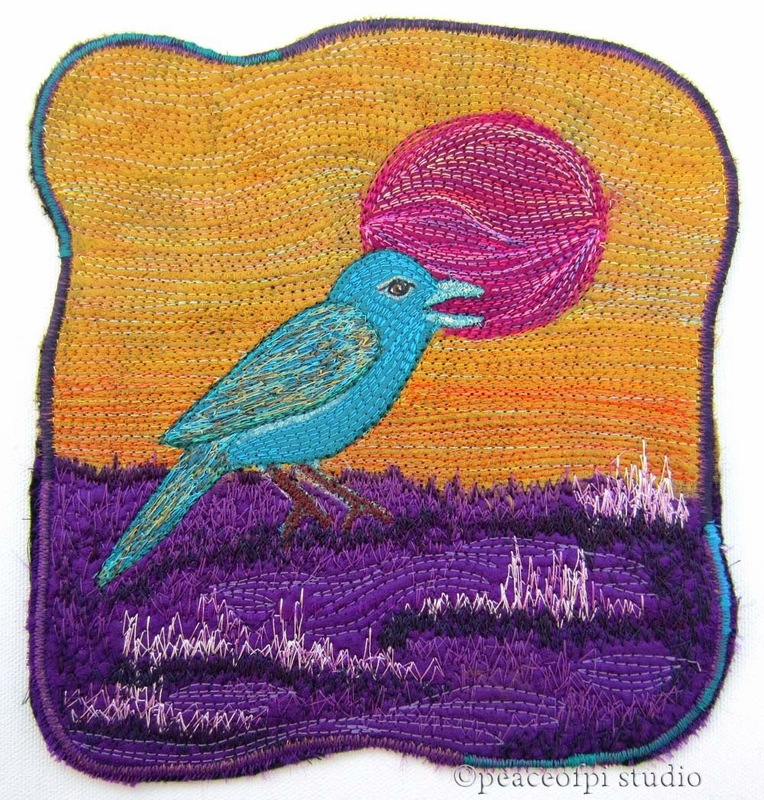 The teal bird has variegated threads on his wing, contrasting with the golden sky above and purple marsh below. Hints of paint were added for the eye adding a touch of life to this sweet bluebird. 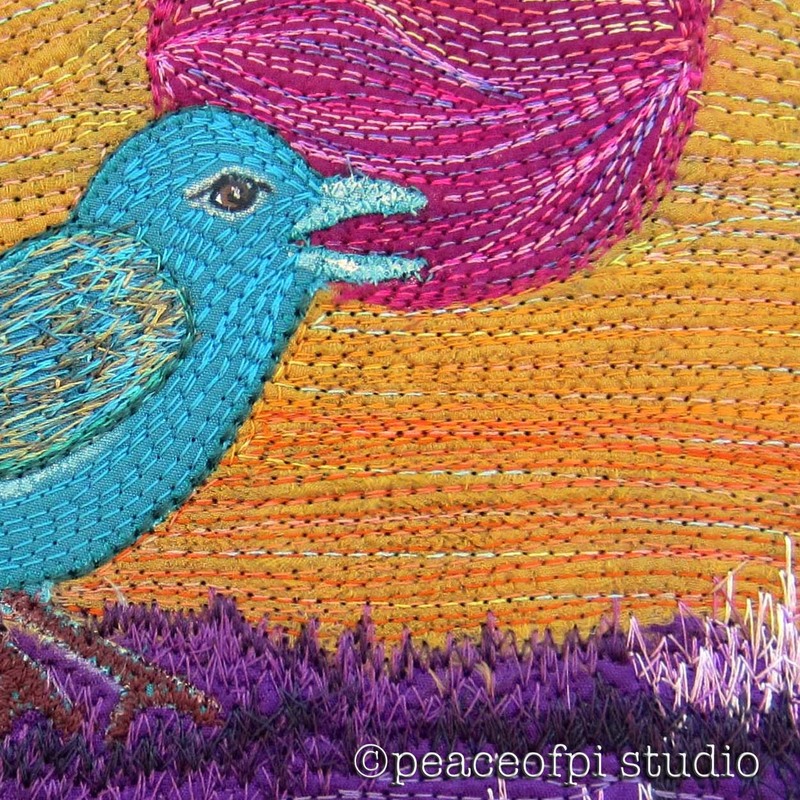 Want to create your own bright, whimsical pieces of fiber art full of texture? 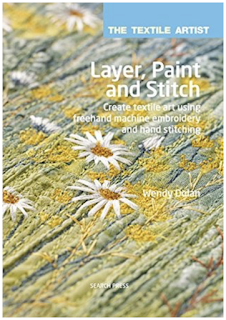 Find inspiration and instruction from the book Layer, Paint, Stitch by Wendy Dolan. From the book description, "..from piecing and patching fabrics and creating textures to painting and embellishing with hand and machine stitching. This book contains a wealth of inspiration..." Check it out and get creative!